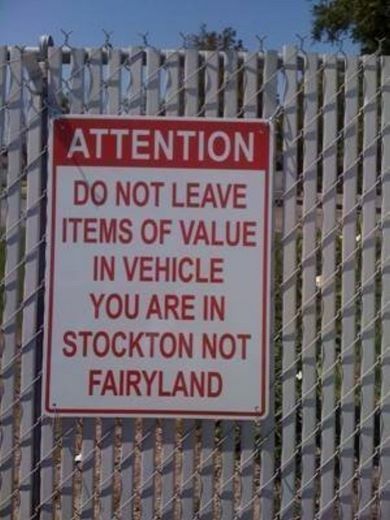 I really have to hand it to my childhood hometown of Stockton, CA. It’s been only 10 months since the Stockton Bears’ humiliating defeat to the Riveroak Redskins, which punctuated a whole string of close losses and near-misses. If it were any other city, residents would have thrown in the towel long ago, run to the nearest tattoo parlor, and branded a giant “L” for “LOSER” on their beer bellies. But not S-Town. 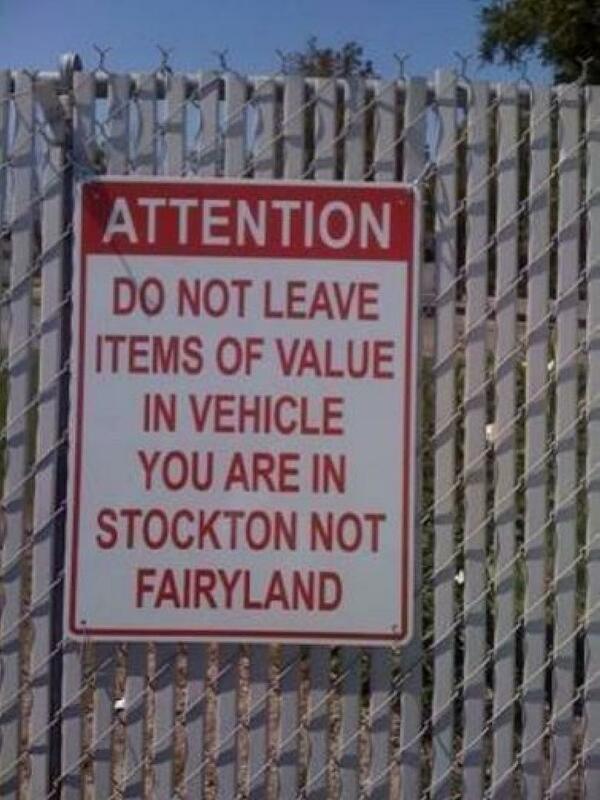 Stockton, you see, has heart. It finds a way to pick itself up after being pushed around like this particular 25-year-old Stocktonian who could not take on two 14-year-old kids. And so—amazingly!—the city managed to claw its way to the #1 spot on another national survey. This time it is tops in… no, not auto thefts or graffiti. Rather: foreclosures! That’s right, in Stockton a higher percentage of residents are defaulting on their home loans than anywhere else in the country, bar none! Now, you might be thinking, that isn’t too surprising. After all, last year the city was also primero in illiteracy, and was forecasted to suffer the greatest home depreciation rate in the nation. So if you were thinking this latest award was hardly unexpected, of course you were right. But let’s give Stockton credit where credit is due. This could very possibly be a rare, shining moment in the armpit-of-California’s history, a time that will be looked nostalgically upon in a few years from now when the town returns to loserdom. In the meantime: can Stockton be stopped?! Thanks goes to my older brother and Tom B. for sending me the articles below. AFP: Welcome to Stockton: Foreclosure Capital USA (September 13, 2007). This article was the “Most viewed story on Yahoo!” the day it was published, underscoring Stockton’s national acclaim!